Stem cell-rich liquid prepared from patient’s own fat tissue is injected to the transplantation area. This way, application site is swelled to enable a convenient transplantation area and chemical injections that damage the follicles in conventional hair transplantation procedure are avoided. Healthy hair follicles collected from the donor site are transferred to the hairless area, which prepared and made productive for the application, by our surgeon. • Transplant area is rendered efficient. • Feeds the newly transferred hair follicles and increases their adherence rate. In conventional hair transplant processes, only focus is the donor site, the healthy hair follicles. Grafts are obtained and transferred to the hairless area. However, there is decreased fat in bald areas that fail to provide nutrition to the follicles. If you look closely, you will see that the skin there is closer to the bone and emptied out. Even though you transfer new hair follicles, likelihood of success would be very low. Healthy follicles of people with baldness are their true treasures; such intervention will cause healthy hair follicles to die after hair transplant. 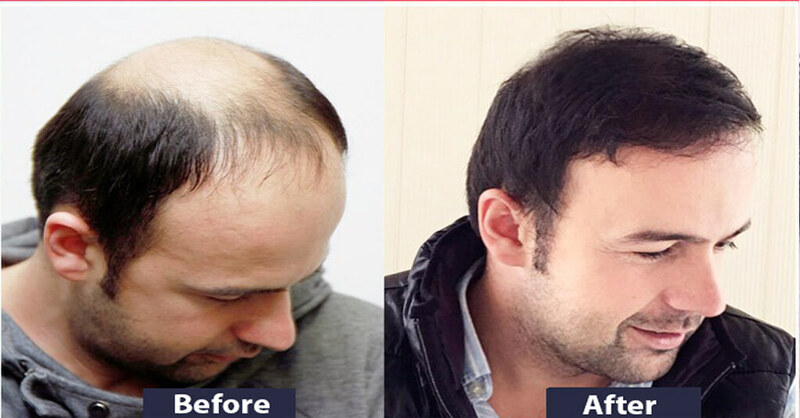 In addition, we know that chemical injected to the bald scalp to make transplant of grafts easier and provide convenience for the surgeon do damage the healthy hair follicles. Organic Hair Transplant provides very important advantages at that point. Stem cell-rich fat injection prepared from patient’s own fat makes hair transplantation easier and leads to a healthier scalp in the hairless area. 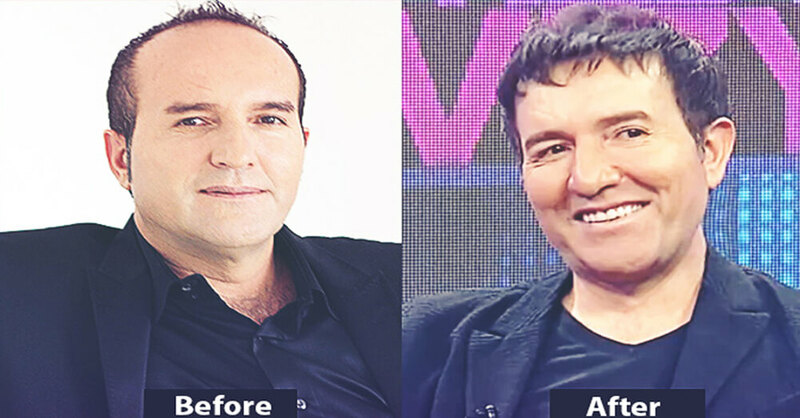 Hair transplant is one of most common aesthetic procedures conducted in Turkey. 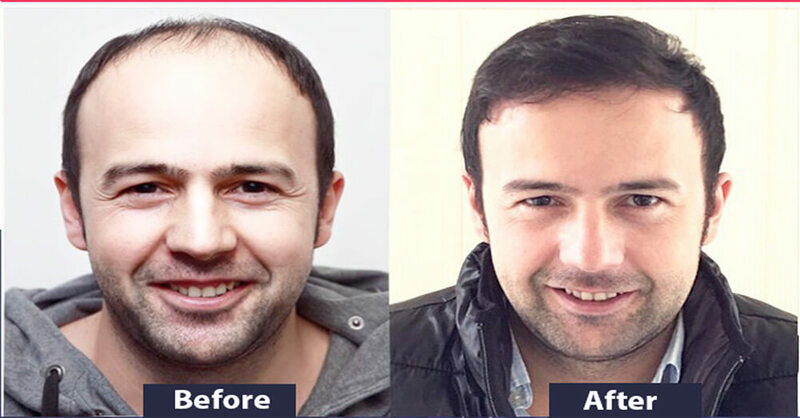 Hair transplant provides solution for many people suffering from baldness in Istanbul, and Estetik International Health Group, as a Pioneer in the field, offers different hair treatment options. Estetik International, operating in Istanbul, Ankara, Izmir and Bursa with 7 different centers, is the leading and Pioneer institution in Turkey that comes to mind first. 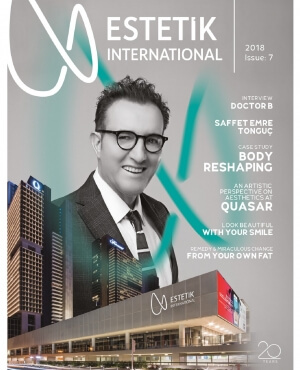 Estetik International celebrates its 20th anniversary by opening the largest aesthetic center in European side of Istanbul and maintains its pioneer role and visionary and innovative perspective. 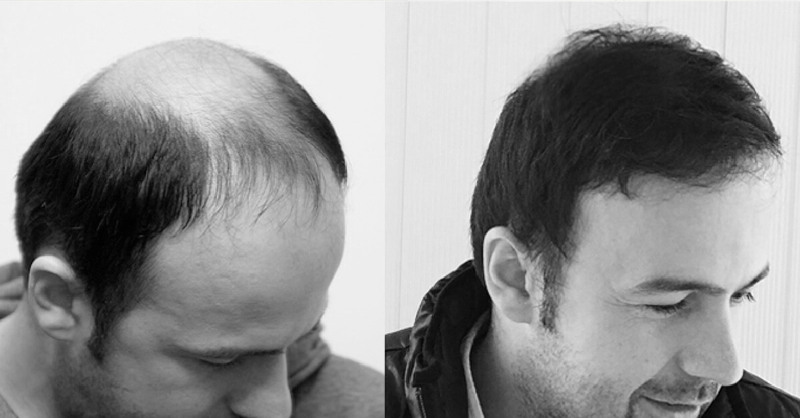 Organic Hair Transplant, developed in R&D laboratories, helped many people, especially foreign aptients, with the solutions it provided for hair loss and baldness. 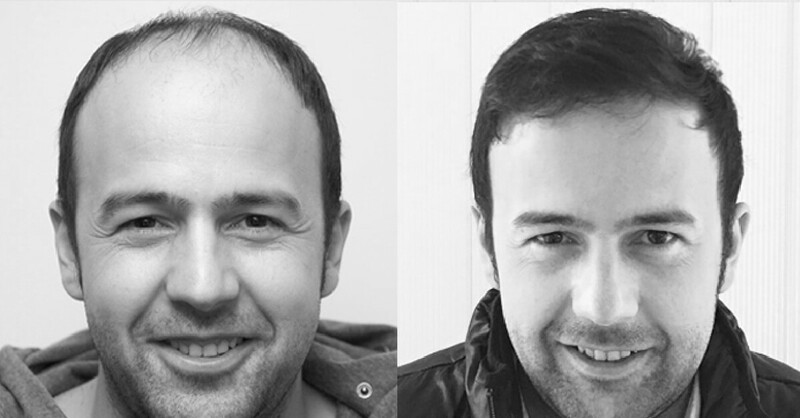 Many patients who confidently say “Estetik International for hair transplant turkey” continue their lives with strong, healthy and rich hair thanks to the beautiful results of our procedures. What is Organic Hair Transplant ? Organic Hair Transplant , initiated as a result of a 2-year R&D study in Estetik International laboratories, is performed by using a stem cell injection prepared from patient’s own adipose tissue. One of the most important deficiency in hair transplantation is not preparing the transplantation site for the procedure. Hair Transplant is indeed a plantation procedure. The higher quality the transferred hair follicles and transplantation site, the better the results of the Hair Transplant procedure. 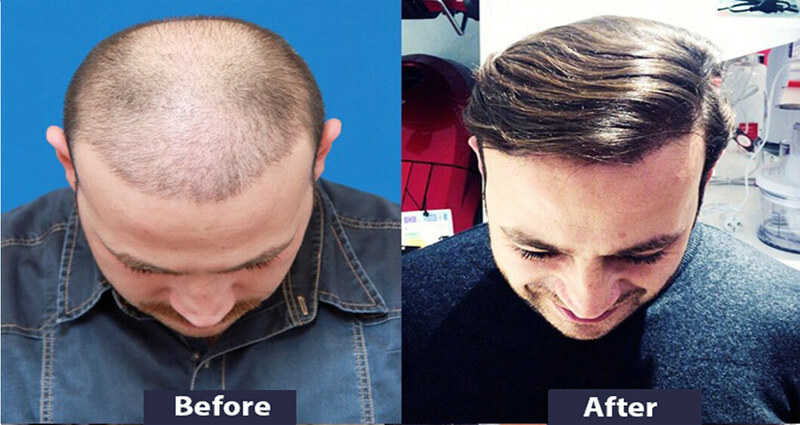 How the "FUE Hair Transplantation” is performed? Fat tissue obtained own body of the patient is processed and enriched adipose tissue derived stem cells with the Cihantimur Fat Transfer Technique which uses closed circuit system. The recipient area that the “Organic Hair Transplantation” will be performed is sterilized and the mixture containing adipose tissue derived stem cells is injected to the area. The volume of the scalp is increased and nutrition process begins. Meanwhile hair grafts are extracted the donor site with use of micro bistoury. The extracted hair grafts then classified according to their types and prepared for the transplantation process. In order to get the most natural result the angles of the hair canals are determined precisely. The donor site is dressed after the “Organic Hair Transplantation” process is completed which will be removed the following day. The recipient area is left as open. A chemical mixture is used in the classical hair transplantation method in order to increase the volume of the scalp. This process helps surgeon to work comfortably however it was observed that these chemicals also harm the scalp tissue. This result in decreased viability of new transplanted hair grafts. Organic Hair Transplant also eliminates the regional fat deposition problem. We target the regional fat depositions of the patient for the stem cell-rich fat injection. Because our fat deposits have lots of stem cells. For example, regional fat depositions in men’s abdomen and hip areas are extracted by using Cihantimur Fat Transfer method and reforms the patients body. When the hairless area is made productive with Organic Hair Transplant injection, some processes take place in subcutaneous tissue. As we said, one of the reasons for hair loss in this area is scalp that came closer to the bone. This injection primarily lubricates the subcutaneous tissue. Stem cells combine with other structures and accelerate new cell production and make subcutaneous tissue productive. Planted grafts continue to live in their new locations as healthy as they were in their original place. In time, more abundant and healthier hair is possible with the hair follicles strengthen by vitalization mechanism of stem cells. What is Organic Hair Transplant? 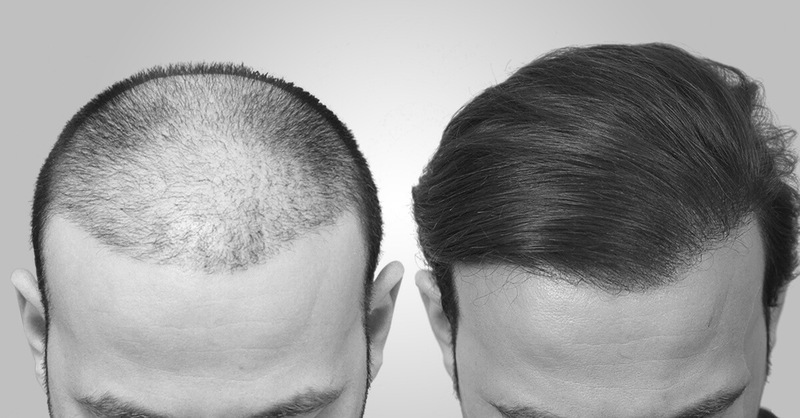 Organic hair transplantation, a product of Estetik International laboratories, is a technique that allows almost all transferred follicles to grow healthily. Where did the idea for Organic Hair Transplant come from? Different methods have been tried for Hair Transplant over the years and we carefully examine each patient’s Hair Transplant process and post-procedure period. In the same period we also accelerated our stem cell studies; in this journey that we started thinking that we can utilize the advantages of stem cells in Hair Transplant as well, we achieved revolutionary results in that field. What is the difference with Conventional Hair Transplant? In conventional Hair Transplant, healthy hair follicles collected from the donor site are transferred to the hairless area. However the ability of the hairless area, the field, to accept healthy follicles, the seeds, and to yield efficient products must not be neglected. In short, better the soil of the better, better the yield quality when combined with healthy seeds. Therefore, primarily the hairless area must be nurtured and strengthen so that we can achieve the desired efficiency. What are the advantages of stem cells? We perform stem cell injection to the hairless area of the patients before the hair transplantation procedure, knowing that stem cells will rejuvenate and activate the area. This stem cell injection involves a solution rich in stem cells that is prepared from patient’s own adipose tissue. In conventional hair transplantation processes, transplantation site is swelled using chemical solution before the transfer of donor follicles; this provides the ability to work in fine details and easier transplantation. However, our studies showed that these chemical solutions have negative impact on healthy transplanted follicles and lead them to death or prevent the efficient growth of healthy hair. This prepared stem cell injection instead of chemical solutions swells the scalp, increases the adherence of hair follicles and allows thick, bright, quality and healthy hair growth. What are you success rates in Organic Hair Transplant? 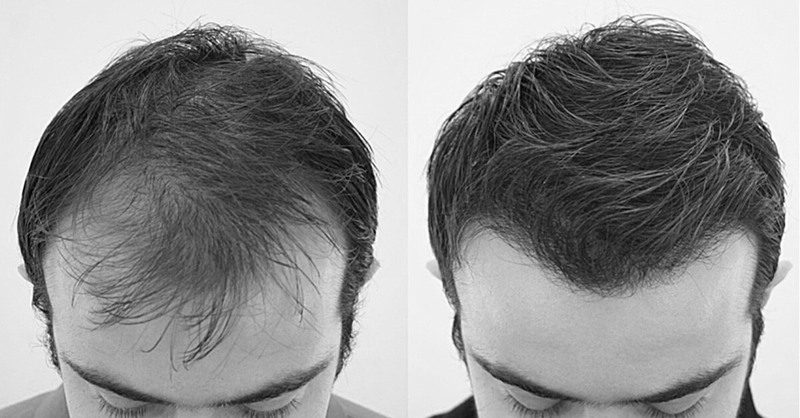 Our success rates in organic Hair Transplant are as high as 96%. Without injecting any chemical material into the patient’s body, stem cell-enriched fat transfer obtained from patient’s own fat cells are injected using Cihantimur Fat Transfer system. What are the advantages of Organic Hair Transplant?